Arlington never gave rise to an Al Capone or a Nucky Thompson, but it was teeming with bootleggers during Prohibition. And most of them were average joes. Source: Prints & Photographs Division, Library of Congress - Arlington Brewing Co. was a major supplier to local saloons before Prohibition.The factory’s 125-foot-tall brick smokestack was leveled in 1958. Source: Virginia Room, Arlington County Public Library - Eliza Sorrel’s Sunday bar was one of the many Rosslyn saloons closed by crusading Commonwealth’s Attorney Crandal Mackey in 1904 (that’s him on the porch). In November 1923, a federal judge ordered that 18,000 bottles of beer (intercepted en route to Washington from Philadelphia) be smashed in the Arlington dump. These bottles are now buried beneath the Pentagon and its parking lots. Source: Virginia Room, Arlington County Public Library - Wilson Boulevard was among the few paved streets cutting through the heart of Arlington in the 1920s. Automobiles proliferated during the decade, making the bootlegger’s job much easier. Venture into Rosslyn or Pentagon City today and you’ll find plenty of fashionable watering holes among the luxury high-rises, shopping districts and office complexes. But our urban villages along the Potomac weren’t always that way. Booze was always one of the major attractions, and the Arlington Brewing Co. kept the taps flowing at local taverns. Built with masonry from local brickyards, the imposing building manufactured light and dark lagers, ale and porter. Back then, Virginia’s “blue laws” closed businesses on Sundays, but Jackson City (the riverfront area that is now home to Long Bridge Park) and Rosslyn, with their preponderance of “Sunday saloons,” became major destinations for Sunday drinkers. The front doors and windows of these clandestine bars were dutifully closed on the Lord’s Day, but the back doors were always open. That party ended in May 1904, when raids led by crusading Virginia Commonwealth’s Attorney Crandal Mackey shut down the Sunday saloons, along with nearby bordellos and casinos. Mackey’s mission would eventually dovetail with efforts by the Women’s Christian Temperance Union and the Anti-Saloon League to precipitate Virginia’s statewide ban on alcohol, which came as the result of a public referendum in November 1916. With the state’s move to “dry” territory, the Robert Portner Brewing Co. (aka the Tivoli Brewery) in Old Town Alexandria—a spot now occupied by the Trader Joe’s on Washington Street—closed immediately. So did 38 saloons in Alexandria and 47 saloons in Arlington. The Arlington Brewing Co. continued to produce beer for out-of-state sales until production was banned in 1918, after which it began manufacturing Cherry Smash, a nonalcoholic soft drink. But these shutdowns, however symbolic, didn’t do much to curtail the flow of liquor in Arlington. If anything, they heightened the public’s taste for the hard stuff. Hundreds of citizens hid makeshift stills in their homes (made with parts from the local hardware store), producing rye whisky and bathtub gin for personal consumption. And as demand for contraband grew, many home distillers began to launch small-time bootlegging operations. Most of Virginia was still rural in the early 20th century, peppered with small towns where evangelicals cast their eyes askance at “Demon Rum.” But Northern Virginia’s culture, by nature of its proximity to the nation’s capital, was more progressive. Alexandria County took the name “Arlington” in 1920—coincidentally the year that national Prohibition began—as a way of asserting its own identity from the city to its south. 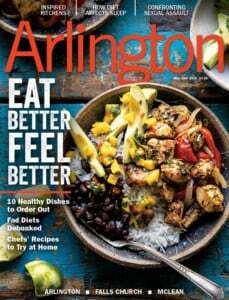 Over the next decade, Arlington grew 66 percent (from 16,040 residents in 1920 to 26,615 in 1930) as neighborhoods such as Clarendon grew up along streetcar lines. 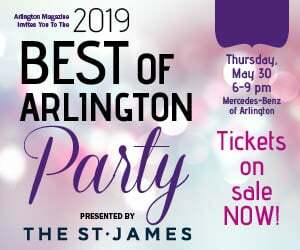 “The 1920s and 1930s were an era when Arlington was beginning the transition from a rural county into an urban environment,” says Karl VanNewkirk, a docent at the Arlington Historical Society. During this time, Sheriff Howard Fields was charged with keeping the peace and patrolling against the growing tide of Prohibition violators. In 1924, he created a vice squad to deal with liquor-related offenses. Its first arrests were six men near East Falls Church—three black and three white—who had formed an amateur bootlegging operation. They were charged with alcohol possession and gambling. From that point forward, arrests continued at a steady pace. In October 1925, an Arlington grand jury issued indictments in 57 cases. This constituted the largest number of criminal proceedings the county had ever witnessed in a single month, and almost all were “dry” law offenses. This trend wasn’t wholly attributed to an uptick in illicit activity. For each citizen convicted, the arresting officer and prosecutor on the case received compensation of $10, per state law. Corruption ensued as incentivized agents became overzealous in their arrests. In 1926, the Virginia legislature voted to eliminate bounties for prosecutors when their defendants pleaded guilty, and to award only $5 per conviction. The reward for arresting officers was reduced to $1.50. Although much of D.C.’s illegal liquor came from Baltimore, bootleggers also blazed well-traversed routes across three of the bridges linking Arlington to the District: the Key Bridge (completed in 1923 to replace the aging Aqueduct Bridge), the 14th Street Bridge and the Chain Bridge. The growing popularity of the automobile (this was the era of Ford’s Model T)made it fairly easy for liquor dealers to move their products to market. For shipments trucked in from points south, Arlington was a pivotal way station in the supply chain. It was the stopping point where large quantities of alcohol were broken into smaller loads to be placed in fast cars that could zip across the river unnoticed. Some cars employed smoke-screen devices that could be switched on if and when their drivers were being chased by the police.